The Islamabad Women’s Chamber of Commerce and Industry (IWCCI) on Friday expressed concern over low gas pressure for domestic consumers. Daily life has been badly affected due to inconsistent gas pressure for the last four days which is unusual at this time, it said. Gas companies should look into the issue and take necessary steps for improvement, said Farida Rashid, President IWCCI while speaking to business community. 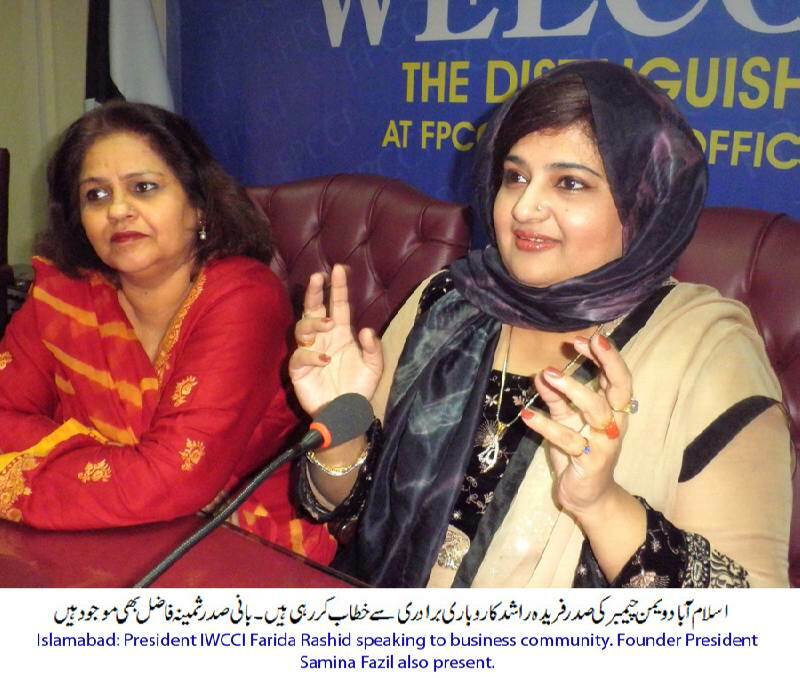 Flanked by Samina Fazil, founder president IWCCI, she said that people in Islamabad, Lahore, Karachi and other cities are braving low gas supply which regularly drops from 6am to 10am. Homemakers are unable to cook food, provide breakfast or even tea to school-going children while the costly alternative of LPG is not affordable for majority. She said that the prices of LPG have been revised upward recently which amounts to punishing people. Surprisingly no action has been taken against LPG mafia. Farida Rashid said that CNG filling stations are closed due to differences between owners of private stations and government on pricing issue which leaves little room to justify low gas pressure. SNGPL and SSGS claims that CNG sector is consuming 6.7 per cent of the total gas production, masses have a right to ask where all the gas is flowing when CNG stations are closed, she said. Farida Rashid said that government has been punishing masses in biting weather while claiming that domestic sector in on top of their priority list. She informed that 113 captive power plants are operating in the country on an average efficiency of 27 per cent and consuming 454 million cubic feet of gas per day. Agreement between gas providers and captives clearly states that captives would use gas for nine months while they will not get gas from Nov 15 to Feb 15. Moreover, some captive plants were provided gas as secondary fuel but they are using it as primary fuel in violation of agreement which is paving way for crisis, the IWCCI president said. Samina Fazil said that the gas providers have slowed down their compressors to forge public opinion against CNG sector. The scarcity of CNG has pushed up demand for petrol while sales are likely to cross the three million tonnes mark by end of this fiscal compared to 2.7 million tons sale in 2011-12 which will bring reserves under additional pressure, said Samina.